A lawyer for suspended SARS boss Tom Moyane on Monday decried what he called "gratuitous insults and unfair treatment" suffered by his client. Moyane is set to face an upcoming internal SARS disciplinary process chaired by Advocate Azhar Bham. His case may also figure in the separate presidentially appointed commission of inquiry into governance at the tax agency chaired by retired Judge Robert 'Bob' Nugent. Mabuza said Moyane, who was suspended by Ramaphosa as commissioner in March, wanted to make it known that the past three months had been marked by a lack of fairness, unlawfully obtained evidence and biased evidence of disgruntled employees. "The entire saga is very complex and confusing, especially in light of multiple inquiries," he said. Moyane did not speak, despite being present during the media conference. Asked by journalists if Moyane would like to say a few words, Mabuza said the suspended commissioner would maintain his silence and only communicate through his legal team. "His silence must, however, never be mistaken for cowardice, timidity or weakened resolve to fight for his rights," said Mabuza. Moyane's legal team had last week asked that the Nugent inquiry be put on hold or "disestablished" pending his upcoming disciplinary hearing. Judge Nugent dismissed the request, calling the document submitted to him "a disgrace". Mabuza then wrote to the president with the same concerns. He shared the response he received from a state attorney with journalists on Monday. In the letter state attorneys say that Ramaphosa has noted Moyane’s concerns regarding the parallel processes of the Nugent inquiry and the disciplinary hearing. It does, however, point out that no public hearings for the Nugent inquiry have been scheduled until August. The president said he would wait for Advocate Bham to make a ruling in the disciplinary process which will start on July 21. "If Moyane is found not guilty, it will be the logical thing for him to return to SARS…He must then go back to his job and serve the nation," said Mabuza. Mabuza added that he would have launched a court application, had the president not responded to his legal team's grievances. Mabuza said a recording where Moyane appears to ask a SARS official to fake illness at a a meeting with KPMG has been "doctored". "We will be able to demonstrate that at the inquiry," he said, but did not provide further evidence. Moyane was appointed by former president Jacob Zuma in September 2014, replacing acting commissioner at the time, Ivan Pillay. He was suspended by President Cyril Ramaphosa on March 19, 2018. According to the presidency, the suspension was "in the interests of restoring credibility at SARS". Mark Kingon took over as acting commissioner of the tax collection agency. 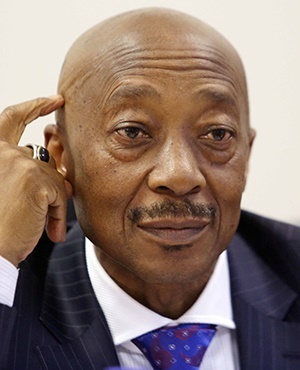 Formed SARS officials strongly criticised Moyane's tenure at the revenue collection service during the start of public hearings at the Nugent commission of inquiry last week. "A series of events since August 2015 has made me feel harassed, victimised, bullied and marginalised," the former head of SARS’ Large Business Centre, Sunita Manik, said in a letter placed before the commission.